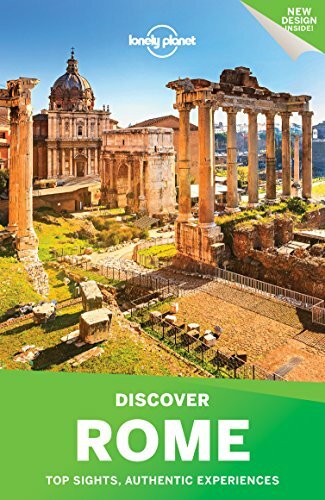 Italy's beautiful city Rome is known as the Eternal City, an apt moniker given its incredible history and importance to the modern and classical world. 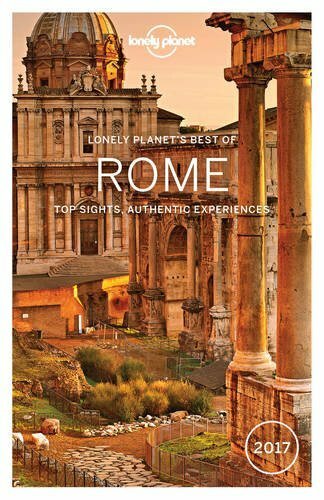 Rome is a wonderful city to visit on holiday, whether you are a lover of the arts, history, architecture, or incredible shopping and dining. However, Rome's immense size and the wide array of sights to take in can make it intimidating or frustrating, or even financially dangerous to an unprepared tourist. 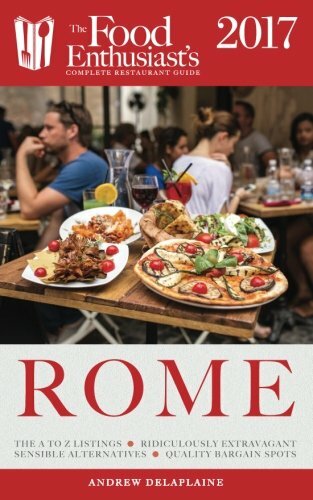 I am not going to attempt a comprehensive tourist guide to Rome in this article, as there are already many terrific, detailed travel books which do so (and some are linked below). 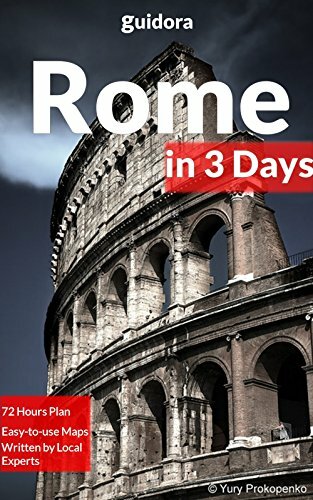 What I will focus on here are basic personal tips from my own experiences visiting Rome. Keep these tips in mind while planning your trip and visiting this amazing city in Italy, and I guarantee you will enjoy a much more pleasurable experience. The Colonna Palace is only open to visitors on Saturday mornings, and you don't want to miss it. Before you go to Rome, make a list prioritizing the sites you don't want to miss during your visit. Then check the hours and days for those sites. With so much to see, you really need a game plan so as not to be disappointed to find out too late that the Vatican museum is closed most Sundays, or that the Musei Capitolini is closed on Mondays. Other attractions, like the Colonna Palace, have even more limited visiting hours: try one day a week in the mornings only! Try not to plan too many activities into each day, but focus on specific areas of the city in a logical fashion, so you're not constantly rushing back and forth. Many churches worth visiting for their artwork, architecture and historical importance can have odd hours for public visits, so be sure to check on those in advance as well. Most churches are only be open in mornings, 9am-noon, and then later afternoon into early evening (4-7pm). Some may also disallow tourist visitation during service hours, often around 6pm. So if you want to visit particular churches, keep these restrictions in mind when planning your daily excursions. Also remember that most churches adhere to modest dress codes: bare shoulders and short shorts would be considered inappropriate. Also turn off your cell phone ringer, and respect that these are holy places of worship for many, not just tourist attractions. In addition, Rome has many sites and museums that you absolutely must make reservations at in advance you wish to visit, such as the Galleria Borghese and the DeChirico Foundation Museum. I lucked into getting access to the latter without reservation, but at the former I have seen angry people being turned away because they didn't buy their tickets ahead of time. Many such sites allow you to easily buy your tickets in advance through the internet, so just make sure to print out and bring with you any confirmation receipts or emails. Rome has many magnificent churches...but be sure to pay attention to their photography rules. Many churches and museums in Rome restrict or completely forbid photography. Be respectful and honor these rules. You can often purchase much better, professional photos and postcards of works of art than you can shoot yourself with your amateur camera. Visitors gawking over and holding up traffic flow around sites and in rooms of museums by taking photographs can be disruptive to other visitors. Flash photography can also be damaging to fragile works of art, so if photography is allowed in a museum in Rome, be sure to turn your flash off and rely solely on natural lighting. Use the Roma Pass to avoid lengthy lines to visit the Forum and other popular attractions. A Roma Pass is an absolute must if you want to visit certain historical sites and museums in Rome without waiting in endless lines. A Roma Pass can also save you money, and you can buy one in any Tabacchi shop in the city. 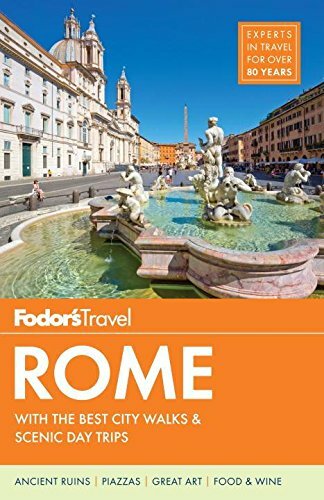 The Roma Pass is good for three days from your first use, and for a flat price you will get access to two sites or museums inclusive, plus a 30% discount at other sites. Bus and rail usage is also included for those three days. Trust me, you will be very glad to be able to bypass the ticket lines at the Colosseum and Roman Forum (which count as one combined admission on the Pass). If you are a museum junkie staying for a week, you might even find it worth purchasing two Roma Passes to cover the length of your trip, but wait and see if you really need it. Not all sites in Rome are covered by the Pass. Rome is very large, so you'll need to consider taxis or buses to get around on occasion. Taxis are not a bad choice for transportation in Rome, as they are fast (traffic permitting) and will get you to and from most attractions you want to see for under or around 10 Euros. However, you will need to be cautious of some taxi drivers who will try to con you when they think they've spotted a clueless tourist. Have small change and bills handy before getting in a cab as many may not be able to break a 20 Euro bill, or even a 10. Learn at least a few necessary phrases in Italian to help you point out to your driver where you want to go and stop, if he is confused about an address ("is here"/"is there"/"to the left"/"to the right"). Drivers may try to intimidate people they think do not know better, so point out your specific destination on a map or hand the driver a card with the address/number printed clearly if you don't think you can state it in Italian. Also be wary of unlicensed taxi drivers who may try to approach you in the airport. Avoid them. Step outside the terminal where the licensed cabs will be cued up. You should be charged a fixed rate from the airport into the center of Rome and not pay a meter rate - confirm this with your driver before entering the cab. Be prepared for a LOT of walking! 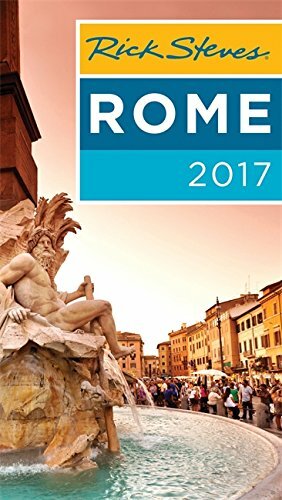 Even if you use taxis or public transportation to get around different areas of Rome, plan on doing a lot of walking as well. The Roman Forum in particular is worthy of a lengthy visit exploring and walking through the breathtaking ruins. Foot pain and fatigue can ruin a day of sightseeing, so skip the high-heels and instead pack a comfortable pair of sneakers. The Vatican is always crowded with tourists and religious pilgrims alike. 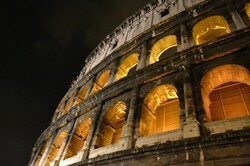 Unless you are visiting Rome in the bleakest months of winter, be prepared for crowds. Lots of crowds, everywhere, at least in the historic parts of the city. Streets are narrow and pedestrian traffic will be heavy, especially along main roads such as Via del Corso and near Vatican City. If the crowds get to be too much for you, plan a day's respite visiting one of the more residential areas of the city such as Aventino or Trastevere, or get out of the city entirely to explore the Appian Way. There are buses which will take you there and back. Another great place to spend a peaceful afternoon is the Protestant Cemetary, filled with beautiful monuments, lush vegetation, and a colony of rescue cats. The Spanish Steps are popular with tourists...and also con artists, if you're not careful. Any city which draws a large number of tourists is going to also draw a huge number of con artists and thieves. Rome is notorious for pick-pockets, so keep your belongings close to you (in your front pockets or in a small, zippered shut purse). Don't travel around with more on you than you'll need for any one day. Keep your passport, travel documents, additional credit cards and cash secured in your hotel room or room safe. If someone offers to take your picture in front of a photogenic site such as the Spanish Steps or the Trevi Fountain, be wary - nothing might stop them from dashing off with your camera, or at least demanding payment for their services. And if a strange man tries to hand you a rose, it's not a gift because he thinks you're especially lovely - it's because he expects you to pay him for it. Gypsy beggars are present near many tourist attractions. Again, be wary as that poor, crippled old lady begging for coins may be a perfectly healthy young woman in crafty make-up and a wig. Save your donations for charitable contribution boxes in the churches, if you feel the urge to help the less fortunate. Also be cautious of any "tourist guides" who come up to you on the street, offering their services at bargain prices. If you plan on participating in any organized tours, book them through a reputable organization or service. Fake tour guides are especially rampant around the Colosseum, promising you they can get you inside while avoiding the lines, give you more information about the history of the Colosseum and even then take you to the Forum, if you only give them 8 or 10 Euros and wait for a few minutes with a group they have ready to go. They'll take your money and then, very likely, disappear. The Patrons of the Arts in the Vatican work to restore and preserve incredible art and artifacts such as this sculpture. If there is one sight in Rome that no visitor should miss, it is the Sistine Chapel. Michelangelo's frescoes are some of the most recognizable works of art in the modern world, and must be seen in person to truly be appreciated. However, the immense crowds shuffling through the chapel during the height of visiting hours can make the experience uncomfortable and disappointing. In my opinion, unless you are able to arrange a private visit through an organization such as The Patrons of the Arts in the Vatican, here is my advice: arrive early. Very early. If the museum is scheduled to open at 9am, be in line to enter by 7 or 8 in the morning. You want to be one of the first people inside. But beyond getting in first, know that the Sistine is located at the very end of the Vatican Museum, as compared to where you will enter. Once you are inside, do not dawdle or linger over the rest of the collection, for you can return to them later. Walk or run as fast as you can, using your map as a guide, to the Sistine. The rest of the crowds will take at least 15-20 minutes to being to trickle in and catch up with you. To be able to experience the Sistine Chapel in near solitude even for just a few minutes is worth all efforts to accomplish. Whether you love gourmet food or antique art, Rome has something you'll want to bring home with you. Rome is a shoppers' and collectors' paradise, its streets lined with designer clothing stores, leather goods outlets, art galleries and antique markets. And don't forget the gourmet cheese, meat and wine shops! But sometimes it can be difficult to tell a good deal apart from a scam. Avoid the urge to make impulse purchases or be pressured by into a sale you're not certain about. Shop around and wait until close to your return trip home before committing to any expensive purchases. Also consider having any large or fragile items such as glass or artwork shipped home to you instead of attempting to carry it back. In my experience shipping is very swift and safe from Italy, sometimes with my purchases arriving home before I do! Rome Travel Tip #10: Enjoy Your Trip! You're in Italy. Enjoy it! Lastly, I urge you to remember this point as you visit Rome: you will not be able to see everything you want to see in one trip to this great city. Don't be disappointed, for there is simply too much to Rome to be appreciated and experienced in a few short days or weeks. Don't leave disappointed, but instead leave looking forward to planning your next trip to explore more of the Eternal City. It's always worth checking for posted signage and err on the side of caution. Nice images. I can believe flash photography can cause damage, and see why churches restrict or forbid photography. Tourists often forget rules of respect.